PT Nestle Indonesia, Our company is a leading food Nutrition, Health and Wellness Company. Our Company has for the past 145 years produces the best product with a passion for excellence in food safety and quality. We are committed to these ideals and value the trust given to us by our consumers worldwide. As Medical Delegate you will liaise and provide accurate information to HealthCare Professionals related to Nestle’s products regarding their features, advantages, benefits and their appropriate use within the Code of Ethics. Willing to be placed in one of the following areas : Sumatra, Java, Kalimantan, Sulawesi. 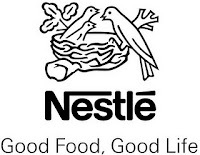 As the leading Food Nutrition, Health and Wellness Company, Nestlé has for the past 145 years produced the best products with a passion for excellence in food safety and quality. We are committed to these ideals and value the trust given to us by our consumers worldwide. If you share the same passion for excellence, we invite people with professional knowledge, personal integrity, and strong motivation to excel and enjoy facing challenges in a dynamic organization, to join us as Procurement Business Excellence Specialist.